In recent weeks and months several high profile mass shootings have focused the spotlight on firearms, mental illness and have brought calls for more restrictive gun laws. Tragic events such as the shooting in Sandy Hook, Aurora, and even Minneapolis have fostered a broad discussion on the merits and need for safety balanced against the constitutional right of gun ownership. During the past few weeks those discussions have taken center stage in committee rooms of the Minnesota state capitol. Between the House and Senate, there are no less than 36 bills dealing with firearms. 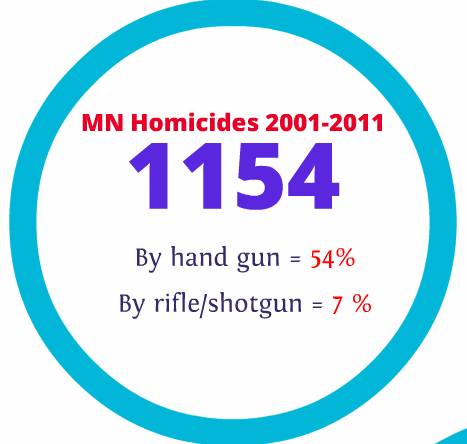 When one looks at the data sets from 2001 to 2011 we find that Minnesota suffered 1154 homicides. Handguns caused more than half of those homicides, 54%. Rifles and shotguns account for 7% of those homicides. (Figure 2) The uniform crime data does not separate homicides by semi-automatic military style rifles. But when the data is focused on just the homicides caused by firearms during the this eleven year period there is an interesting pattern. 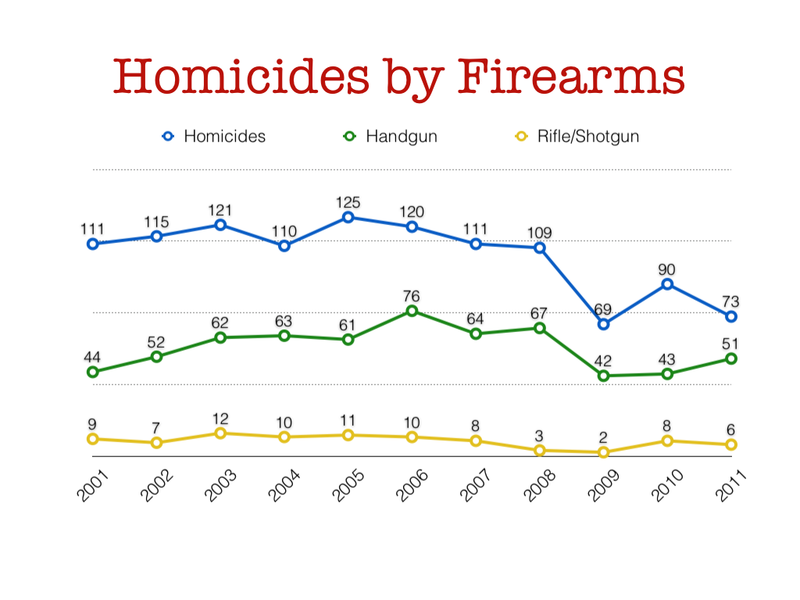 Fully 88% of the homicides by firearms are caused by handguns. 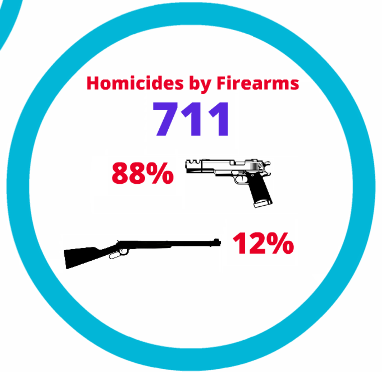 The remainder, 12% are caused by rifle and shotgun. (Figure 3) The data set reveals what many prosecutors and those in law enforcement have advocated for years, that handguns and perhaps the unlawful access to handguns are the driving force of homicides in Minnesota.